Grab the 500GB Samsung 860 EVO for one of its best prices yet at $67. Newegg’s offering a great deal on one of our favorite SSDs, and it beats the all-time historical low price on Amazon. 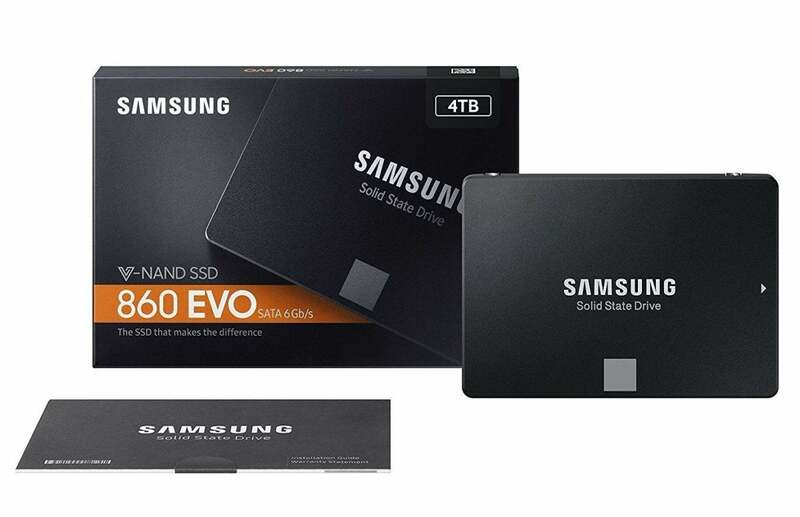 The 500GB Samsung 860 EVO SSD is $67Remove non-product link after applying the checkout code AFM9SSD674. That’s $18 less than the current price of $85. The deal ends just before midnight on Thursday, Pacific time. We crowned the Samsung 860 EVO as the top solid-state drive for most people in our round-up of the best SSDs you can buy. The 860 EVO is one of the fastest triple-layer cell (TLC) SSDs we’ve tested, and one of the few TLC NAND drives that doesn’t slow down during big write jobs. Samsung says the 860 EVO has a sequential read speed up to 500 megabytes per second, and write speeds up to 520MB/s. The drive uses the standard SATA III interface instead of the newer and speedier NVMe protocol even though it comes in both 2.5-inch and M.2 form factors. It's still plenty fast for virtually all common use cases, though. The current sale price at Newegg is only for the 2.5-inch version. If $67 is still too much for your wallet, Amazon is selling the Crucial MX500 500GB for $58. While we haven't reviewed it, it's a highly regarded drive by reviewers and more than 2,000 Amazon buyers. Don't miss out! Whether you go with the Samsung 860 EVO or the Crucial MX500, an SSD is the single best upgrade you can give your PC if you’re still running a spinning hard drive. This story, "Samsung's 500GB 860 EVO, our favorite SSD for most people, is cheaper than ever" was originally published by PCWorld.